If you are you looking for a career in helping others, then this hypnosis course is for you. Do you want to make long lasting positive change in the lives of those around you? Would you want to learn how to heal yourself? Are you ready for a rewarding career that leaves you feeling great? Welcome and thank you for your interest in our hypnosis course. During the hypnosis course you will acquire a skill that will remain with you for the rest of your life. You will have the ability to help yourself and others. Have the ability to change your lives for the better. Hypnosis is as old as civilization itself. It has been practiced under numerous labels for thousands of years. 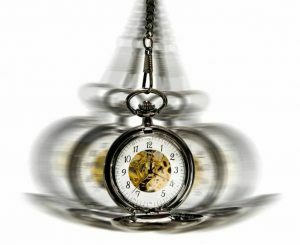 It was not until 1958 though, when hypnosis was officially recognized by the American Medical Association. That is when hypnosis began to come into its own. Since then great strides have been made. Yet that is nothing compared to the achievements that will come in the future as new and exciting uses of hypnosis come to light. The hypnosis training is designed to be a hands-on learning experience for you. You are encouraged to ask questions to ensure you understand the techniques demonstrated in class. The hypnosis course is a safe environment in which you are allowed to make mistakes. You will feel comfortable knowing that there is a trained professional nearby to help. Your trainer is Wayne Farrell, who also works with clients in his own hypnosis practice when not training. Ethics and when to refer a client. How long is the hypnosis course? The hypnosis course is held over 4 days and is limited to only a few students at a time. You will be one of only 12 students per group. This ensures you get the best possible training and attention. These course sell out very quickly, so to avoid disappointment, please make sure you reserve your place before the course is sold out again and you have to wait until the next available date. After completing this hypnosis course you will be a qualified hypnosis practitioner. You may then begin to practice as a hypnotist. Additional education is also available for any student who is interested in further knowledge to enhance your professional status. The hypnosis training is approved by the American Board of Hypnotherapy (ABH). On completion you will receive a certificate from Coaching with NLP as evidence of your knowledge and understanding. For prices, please select the country in which you would like to train. Please feel free to ask any questions. We are always happy to help. We look forward to meeting you and helping on your path to becoming a hypnotist.